Arthritis a painful joint disorder in which joints become inflamed. There are over 100 different types of arthritis and related conditions. The most common ones we hear discussed are osteoarthritis, gout and rheumatoid arthritis. 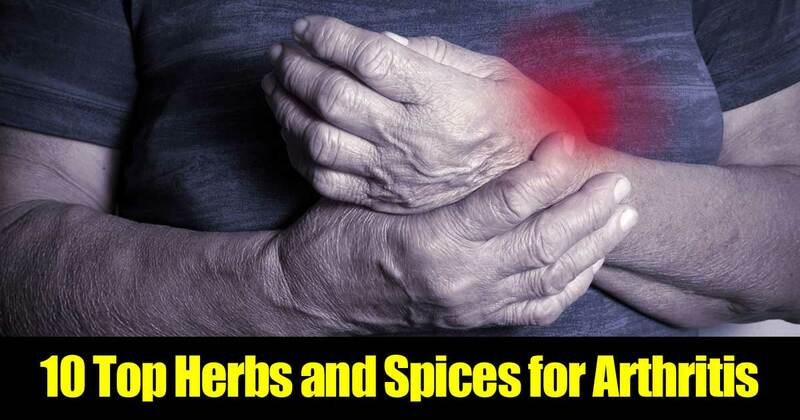 This post provides some great information on the types of herbs and spices you can use to help with your life altering arthritis. The first spice mentioned is ginger known for its ability to stop or reduce the inflammatory process at a cellular level which in turn will help with your arthritis pain. Green tea is another, high in polyphenols which contain high amounts of anti oxidants and anti imflammatories. Another is Cinnamon, known to help naturally reduce swelling, redness, and stiffness in joints.